Have you ever given thought to the small yet memorable traditions which generations of your family have repeated? Pause for a moment to call your favorite to mind. Focus on the emotions which this memory evokes within you. In your mind's eye conjure an image of those with whom you typically share this tradition and notice the emotions which it evokes in them as well. 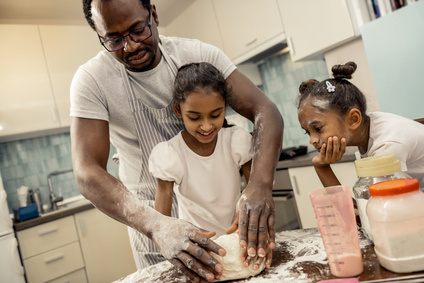 How many of these family traditions have you chosen to continue to practice with your own family? Which ones did you discard? What overlooked family traditions might you want to restore or introduce to your family? Which new ones would you like to invent? Consider having a family meeting in which everyone brainstorms ideas. Traditions need not be elaborate, time-consuming, or expensive. For example, in my own family, we follow a regional tradition of being the first person to say "rabbit" to someone on the first day of each month. The "winner" is entitled to the other person's good luck for the month! It has to be done in person, not by text, email or any other mode of communication--although by family consensus we have agreed that phone contact is acceptable. We get very stealthy and resort to using other people's phones when calling or Face Timing other family members. It is fun, harmless, free, and something we have done since my children were tots. They are now in their thirties and we continue to practice and pass on this ritual. Another Swift family tradition is to close letters, sign cards, etc with "Keep on Paddling." This also originated when the kids were little. We were avid canoeists, white-water rafters, and kayakers. We had to constantly remind whichever child was in our vessel that they had to contribute their effort to the trip. 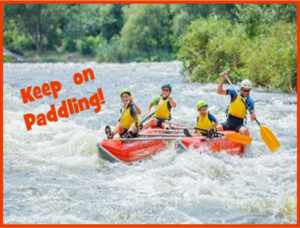 Hence the refrain: Keep on Paddling! When they got older and life's challenges became overwhelming, we would encourage one another with this phrase. It was shorthand for the mutual understanding that we were all in this together, that to safely arrive at our destination, everyonehad to pull their weight. How might a family tradition benefit your family? What values would you want it to reflect? How will you incorporate a sense of fun? What new tradition will you invent for your family? How will you involve your kids in inventing new traditions? Please share your ideas so that other readers can benefit from your creativity. The Grammys aired last night to honor musicians of every stripe and genre which made me think of the power that music wields. Music evokes emotion in ways deeper than words. It unlocks memories reminding us of people, places, times, and events. This is why film producers spend small fortunes blending the perfect soundtrack for their works. Most of us compile music collections on our phones and can listen whenever we wish, to whatever we choose. 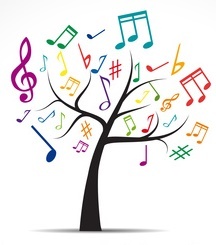 We care about music and even consider certain special songs as “ours.” As Intentional Parents, music offers us an important avenue for strengthening connection with our kids. Much of what children think and feel remains locked behind a web of reluctance, embarrassment, and insecurity. We yearn for a way to touch their hearts and their spirits. Music can connect us even when words fail. My kids who are now in their thirties, will tell you that I have a deep preference for silence and that when I do listen to music it is on a low volume. Like many young people, they like to listen at a higher volume, especially my son who listens at decibel levels equivalent to a departing jet engine. So, finding music which we can enjoy is a bit of a challenge. But when we do, it sure is fun! Moments of intimate connection like these are precious indeed. Look for ways to create them, e.g., ask if they had any favorites among the Grammy nominees. If you just can’t stand their music selection, study the lyrics. Look for what draws your child to a specific piece of music. Start a conversation about what you notice. Remember to refrain from any criticism; that will immediately elicit a shutdown. Ask questions that are clearly neutral. Then listen for the Golden Nugget, the peek into what they think, feel, struggle or identify with. That insight, that connection is true treasure. Handle it with heroic care. Look for ways to find commonality. You might also ask them which musical film score is their favorite. What do they like about it? How do they think it contributed to the film? Be open but not overly insistent if they resist. If that happens, be attentive to moments that occur spontaneously. The next time they insert their earbuds, ask them to let you take a listen. Then see what unfolds. What songs from your own youth drove your parents crazy? What made the music appeal to you? How did you feel when/if your parents dissed or ridiculed your music? What insight does this history provide to assist you in relating to your kids now? Read these book reviews by GIFT coach, Gayle H. Swift. They are written with an Adoption-attuned perspective. Unless adoptive parents are also adoptees, we can only approximate in our minds and hearts what it must be like for our children. Adoption was the answer to our prayer; but for our children, it is far more complicated. The benefits they gained via adoption coexist with significant loss and trauma. Adoption is not an exclusively happy experience for our children. We cannot know the silent, inner conversations they have within themselves as they strive to piece together a sense of healthy wholeness from the disparate threads of their biology and their biography.The only way to know what they are thinking is share conversations that touch on these difficult subjects. 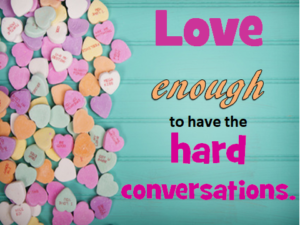 We must love them enough to hold these hard conversations. It isn’t easy for them or us kids to talk about such heavy topics. Our earnest hope that all is okay with our kids may willingly believe that it is so. When we ask kids if they’re doing all right and they quickly assure that it is, we heave a sigh of relief. But, can we actually accept their reassurances on face value? What do we know, within ourselves, about assurances too quickly offered, of hot topics we gladly shove under the rug? Plenty. How many times have we told spouses, partners, friends, or colleagues that “nothing is wrong” when in fact, it was obvious that we were hurting so much? But, we were afraid to articulate it, as if speaking it aloud made it real. Denying it offered us the temporary shelter of pretending we were fine. Besides, the truth was too scary to admit even to ourselves. We’d rather be stuck than to expose our vulnerability. Being stuck was less painful than facing the issues and doing the hard work of creating any necessary changes. How many other times have we held back because we expected our loved ones to know without our telling them what was bothering us? Mindreading never works. It’s a dangerous and false assumption to think that because people care about us they automatically know what is going on inside our heads. Nothing could be farther from the truth. To rely on mindreading is to sabotage the relationship. Communication is a two-way street. We have to engage in conversations that safely and respectfully talk about “stuff.” For families like ours, this means we must have the hard conversations about adoption and the very complicated reality it brings for our children. Even as we admit it is hard for us as adults to tackle the hard conversations, it is even more difficult for our kids. They depend on us for virtually all their security—emotional and physical. The possibility that they might place that security in jeopardy is very scary. At some level, they know they need us, that they can’t afford to lose us. From this vantage point, consider how scary it is for them, therefore to share thins which they think might offend, alienate or disappoint us. They may even falsely believe that we do not want to hear their thoughts and feelings. They may worry that we cannot handle the awkward, negative conversations that may echo inside them. Inner demons may tell them we are open only to happy conversations that prove the benefits of adoption. When the news mentions family separations, comment. Mention how hard that must be for parent and child. Wait to see if your child says anything. Say that it makes you think about his being separated from his first family. If he responds to this conversation starter, great! If not, reassure him that you would want to hear about his feelings when he is ready so you could help him work through it. 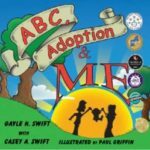 Have a well-stocked family library on books that explore adoption. Read books from your child’s school list or from their own recreational list. Look for events in the book that might serve as conversation starters. Similarly, listen to the lyrics of his favorite songs. Talk about why they resonate with him. 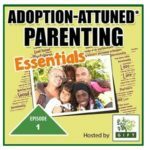 This does not have to be about adoption. The purpose is to establish a pattern of authentic sharing. See the films he enjoys. Watch them together, if he’s willing. If not, watch them by yourself and then look for an opportunity to chat about it together. Share some of your moments of struggle--being mindful of holding appropriate boundaries. Articulate how a circumstance or relationship challenges you and mention some of the specific strategies you employed. These will then serve as models for some options which they might use in the future. 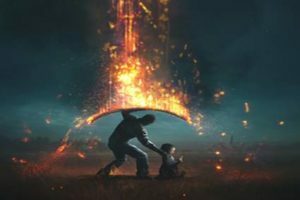 Sharing your experiences relieves them of the false belief that parents never have struggles, feel inadequate, or have conflicting feelings within important relationships. Good communication depends on respect and non-judgmental listening. Start with “safe” subjects and build a pattern of loving listening. This lays down the habit of talking together. The more routine it becomes, the more likely they will talk when it topics are more difficult. What one thing can you do to start building a habit of talking to one another? These terms originated in Lori Holden’s masterful book, The Open-hearted Way to Open Adoption. This book belongs in every adoptive family's library. In the world of adoption, we hear a lot about grief, loss, trauma, and emotional triggers. As parents how do we deal with this complicated emotional stew? How do we support our kids, help move them through to the other side, back to a place of calm and security? How do we manage our own emotion during and after raw emotional exchanges? This anecdote from my own life may be a useful metaphor and might offer a bit of insight. My loud yelping puzzled my mini schnauzer the other night. Leg cramps jerked me awake with excruciating, unrelenting intensity. It felt as if the muscle might tear completely away from the bone. The pain left me breathless and momentarily paralyzed. I knew that standing offered the only way to release the cramp. A tangle of sheets held me in place. I struggled to activate my ability to move by intention instead of reaction. But the pain held me in its grip. Intellectually I knew how to end the cramp. Yet in that moment I was completely out of my logical, executive-functioning brain locked ticht in the GRIP of the primitive response of my reptilian brain. We've all been in similar situations where we had pertinent knowledge and a viable option but instead chose a different, response because that resonated with our emotions at that moment. Perhaps we picked a fight with our spouse or piled consequence on top of consequence, on top of consequence to a defiant, unrepentant teenager. All of us can remember an example of such emotional upheaval. Truth is toddlers aren't the only ones who fall prisoner to the meltdown. Tune in to an example of your own personal meltdown. (Doesn't have to be recent, just memorable.) Not your proudest moment, right? Dive into the memory and recall how you felt, what you said and the emotional fallout that ensued. Clearly, it left a mark because you can still recall it. Imagine how this same event might be stored in the memories of the people with whom you shared the moment. My point is this: in the throes of an emotional hijacking, self-control is not easily accessed. 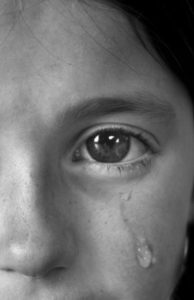 Children like ours who have experienced trauma can find themselves caught in one of these emotional maelstroms. Begun not by intent, but by something that rockets out of the periphery and then slams like a foul ball into their guts. Like the unexpected and unwelcome cramp that jerked me awake, our kids can be caught unaware, yanked from the present moment by triggers they never saw coming. Paralyzed. Haunted. Panicked. Perhaps it is a smell, a song, a gesture, a traumaversary recognized only by their subconscious memory. They don't see it coming. We don't see it coming. But like when a comet strikes the earth, the devastation spreads deep and wide. Nothing nearby survives unscathed. Now that we have some insight about meltdowns, we can see that often it is not a matter of their unwillingness to comply and more a matter of their inability to comply at that moment. How do we help them in the moment? We must bring our calm to the fore. Avoid responding with matching emotional intensity. (That simply adds fuel to an already overwrought situation.) Resist the temptation to debate or rationalize. Their thinking brain is off-line. We must keep ours engaged. Save the discussion until calm has been restored. Hold off on deciding consequences too. Take the time to decide what is appropriate, proportionate, and effective. Remember the goal of discipline is to teach not to punish. Delay the conversation, but do definitely have it. To come full circle, I did manage to claw my way out of bed and onto my feet. The cramp released. I was deeply grateful. We all know how good it feels to walk through pain and get through it. As parents, we have a chance to help our children master the process.